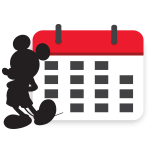 There’s no way to calculate how many couples became engaged, the number of people who made wishes, or all the magical dreams that came true thanks to the iconic Snow White Grotto and Wishing Well in Disneyland Park. 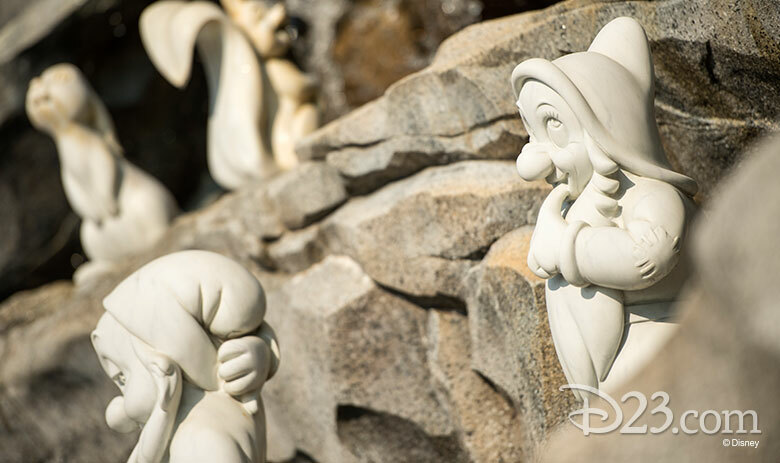 Nestled amid the greenery near Sleeping Beauty Castle, the lovely little water wonderland adorned with handcrafted figures of Snow White, Doc, Dopey, Bashful, Sleepy, Happy, Grumpy and Dopey, celebrates its 55th anniversary this month. 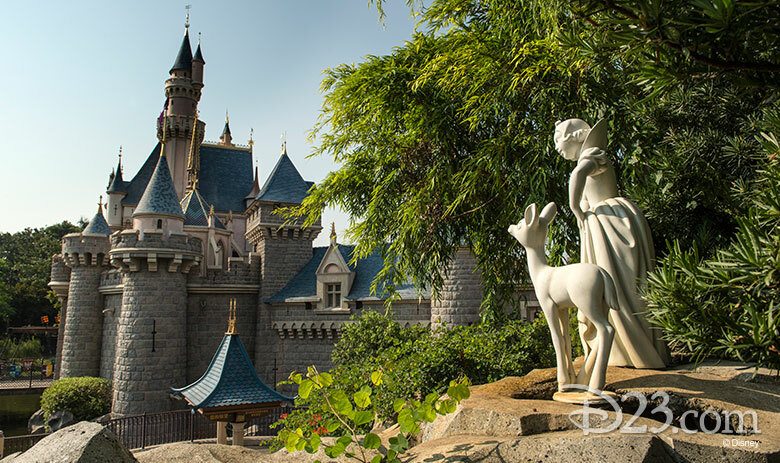 We asked renowned producer/editor and Disney historian Les Perkins, who worked on the reimagining of Fantasyland in 1983, for seven little facts and an especially enchanting anecdote—in exchange for a fresh baked gooseberry pie. The grotto was the result of a collection of sculpts that was ordered from Italy. 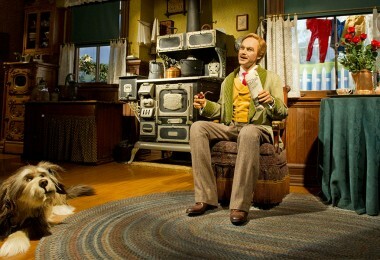 Walt was fond of them and asked Disney Legend John Hench of WED Enterprises (now Walt Disney Imagineering) to find a Disneyland home for them. 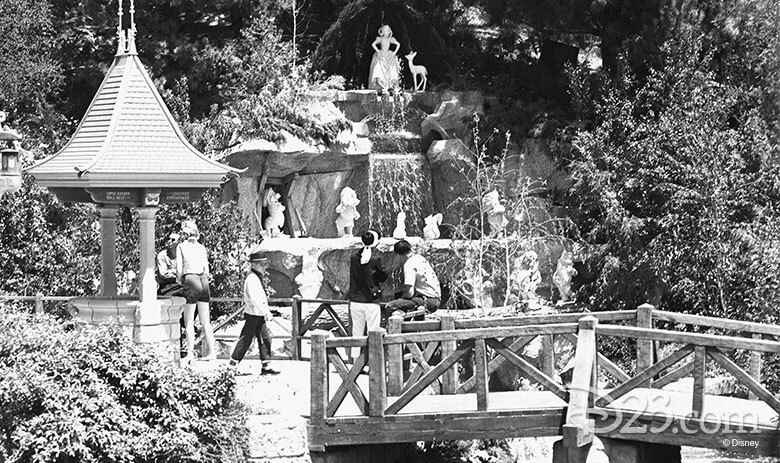 John dreamed up the Snow White Grotto in 1960. Sculptor Leonida Parma fashioned the figures from pure Carrara marble. 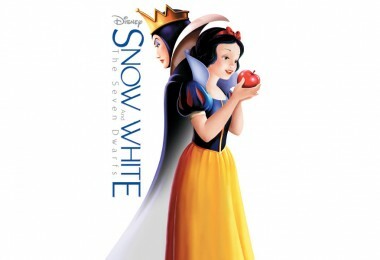 Hench was challenged by a visual problem: the Snow White statue was the same height as the seven Dwarf figures. The reason all eight marble figures were the same height was traced back to a set of eight Snow White and the Seven Dwarfs gift soaps, all molded the same size to fit inside the package. John solved the problem using “forced perspective,” the same technique that makes Disneyland buildings seem taller by building each successive level at a smaller scale. 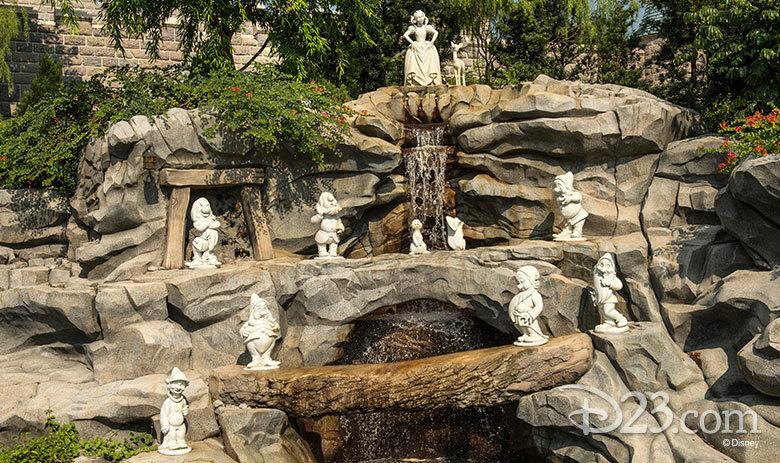 By putting Snow White high atop the grotto, she seems to be the proper size. John also had figures made of various birds, deer, and bunnies to heighten the effect. 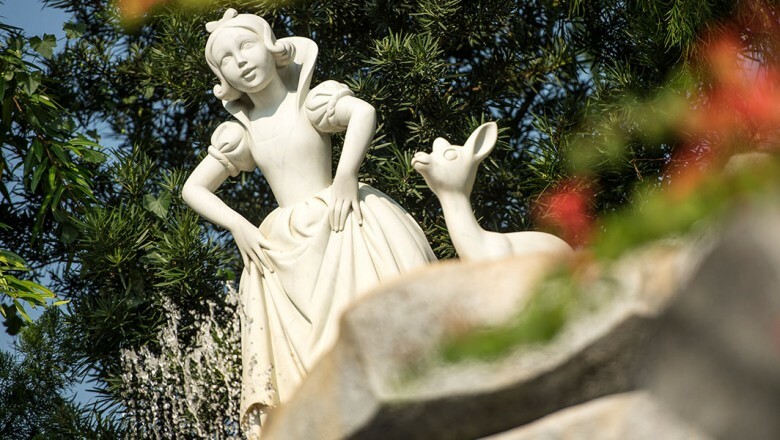 The “tradition” of a same-height Snow White was duplicated for the grotto at Tokyo Disneyland. Hench’s vision for the fountain was inspired by one he had seen in the small town of Brie, north of France. 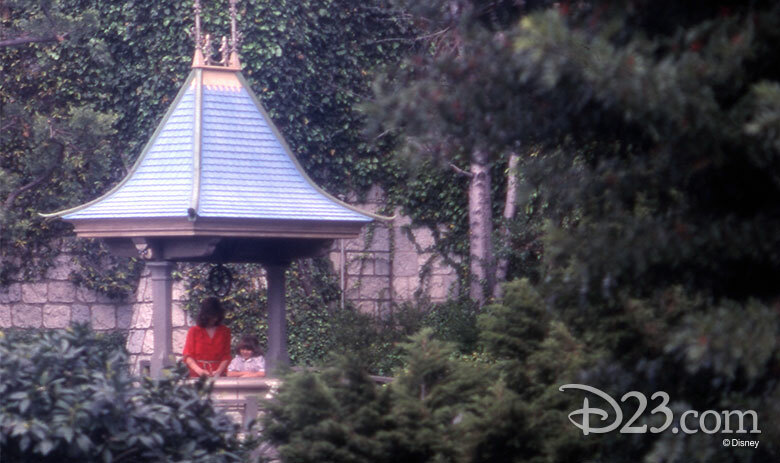 The Wishing Well was Walt’s idea—so the coins could be easily collected and donated to charity and to discourage Park guests from tossing coins into the Castle moat. Over the years the marble became discolored. 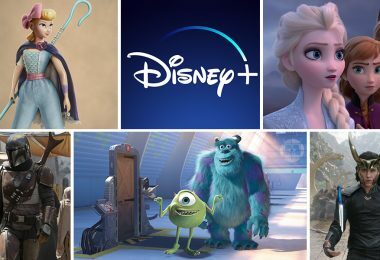 So molds were cast from the original sculptures and they were replaced with fiberglass figures.